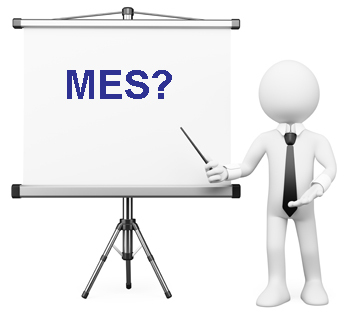 Are You Thinking Critically About Your Potential MES Solution? Before you select an MES or Paperless Manufacturing solution, consider the WIIFM Factor. Consider the WIIFM (What’s In It For Me) factor when researching possible solutions to improve shop floor efficiency. It’s alive and well throughout the marketplace and its impact on your decision is as important as technology capabilities, cost and other factors, even though you’ll never find it in a set of requirements or an RFP. Curious to know what the WIIFM factor is, how it can affect your manufacturing business, and how to track the elusive factor? Let’s take a look at a few of the places it hides. Consultants or development houses will argue they can develop a one-of-a-kind, or custom, solution perfectly matched to your needs. With requirement lists and planning sessions, they will weave you a beautiful image of a perfect shop floor solution designed SPECIFICALLY for your needs. In fact, they offer an entire team of developers, engineers, support personnel and implementation specialists ready to serve you. 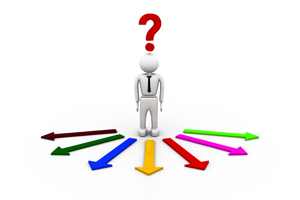 Before selecting a vendor, think critically about what they are offering to avoid surprises. Illustration by http://www.colourbox.com. The truth is – they aren’t lying. They can build you the system, filled with all the buttons, reports, and forms you want. But, it’s not going to be the PERFECT solution unless they continually monitor your work flow and tweak the solution every time change occurs. Change happens on the shop floor, and processes must change and adapt. If the solution they describe takes a year to build, how much change will happen in that time? It’s designed for the shop floor a year (or more) in the past… what is your shop floor like now? On top of that, you’ll be funding the ENTIRE development cost for the solution. That team they need to build your solution – they’ll need to be paid somehow, and they’re hoping you’re ready to open your wallet and foot the bill. Their solution costs much more than an adaptable, purchased solution, and it’s already obsolete before you go into production. WIIFM (the consultant)= a new large project that will result in a solution designed perfectly for the customer at the moment the requirement list is complete, and will produce a long revenue stream for their business. WIIFM (the Customer) = It’s a more expensive solution, and you are footing the ENTIRE bill. Plus, they can develop it so it works JUST for you, but you will need to bring them back for all future changes and enhancements. Other solution providers will argue they can meet all of your needs with an off-the-shelf forms-based system configured to manage you data. They argue the solution is easier to use because they’ve already plotted out the PERFECT formula for the shop floor, and it will be easy to plug in their formula to create better processes for you. In addition, you’ll get all these pretty dashboards, ready-made reports at the press of a button, and more. They show you a whole team, with neat titles, ready to support you when you need it. You can have all this… only if you’re ready to adapt your current shop floor processes to the form-based process their system works from. Template-based systems are easy-to-build, and with the templates as a guideline, they’ve created a number of additional “modules.” Many shop floor processes are very similar, so it’s easy to prepare homogenized templates. But, because of the immense variety between shop floors, you will compromise a portion of your work flow processes to make it work. Reformatting your current material and work instructions may be necessary. Depending on the number of work instructions you have, or the material you need to attach to work orders, reformatting could be a huge, costly initial expense during installation in order to make all those templates work. Any of your current processes that don’t quite fit within the templates will require configuration, a potentially expensive job with additional follow-on work. Remember that big team you heard about… they’re waiting to charge you for all that work. Plus, you’ll need that team for all the training your team requires to learn the new processes. WIIFM (the Provider) = An easier initial sale with the potential for a significant amount of custom configuration work and expensive service charges. They can offer a very flashy software demo that will lead to bigger long term service sales. WIIFM (the Customer) = A solution with a lot of (potentially) inexpensive extras and a lower cost for the initial software. Other vendors will offer what appears, at first, to be a fairly simple system. It’s structured around screens and windows that users edit and reconfigure as needed. 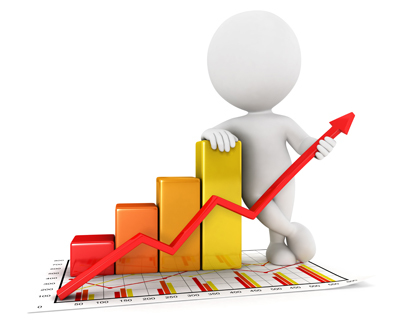 Key data can be collected at any point in the process and be seen in real time. Users attach and open the information as needed, and easily configure the organization of information to best meet their processes. Templates aren’t needed, because you attach the information digitally in whatever format you like. You won’t sacrifice functionality, since the purpose of an MES isn’t reliant on a form – it’s a tool. There are developers supporting the software, but you won’t find many “implementation specialists” or “configuration engineers” since you won’t need to adapt your current processes, or do any configuration, and there’s no need for custom work. There’s nothing you need a massive service team for, so why would you pay them? Instead of focusing on forms and fixed templates, the design is focused on the user experience (UX) – it is a foundation and tool supporting your processes, not dictating a new one. This solution uses a modern technology platform (Web 2.0) with the flexibility and adaptability to match your work flow process now and in the future. As the system is designed, if you want simple training for your IT and engineering staff you can continually adapt the solution to match the changing processes on your shop floor. This will save you money, pain, risk and most of all the frustration of a system that quickly becomes obsolete. Any custom work you need can be done at your pace, and without touching the core code, eliminating the risk of a custom solution. That small team is all you need (and all you pay for) because much of the work will be using your current material and processes as is – saving you significantly and ensuring a rapid ROI. WIIFM (the Provider) = The solution uses your current processes, minimizing training time and shop floor confusion without passing along high costs. Their goal is a rapid, successful implementation that transforms the customer plant efficiency , leading to another good reference. WIIFM (the Customer) = An adaptable system that installs quicker, with less work and less cost. No need for a massive installation team. This leads to a true partnership with the solution provider. None of the opinions offered by these vendors are wrong, it’s just some leave out any consideration of your WIIFM. Some solutions aren’t telling you the whole story, or don’t fully consider what is best for you – the customer. Most customers want a solution that is easy to install, easy to use, creates little disruption, solves efficiency or quality issues, has little risk and lower costs. How these vendors go about defining of fulfilling these requirements can be very different. When you don’t think critically about the MES WIIFM factor, you might be left with a solution that does not satisfy your long-term needs. Think critically about a potential shop floor software solution, and integrate a WIIFY (What’s In It For You) analysis in the conversation with vendors and your selection team early in the process for an optimal solution. This entry was posted in Uncategorized on May 1, 2014 by Ed Deaton.